A year ago, on the morning of September 6th of 2018, last minute preparations were taking place to prepare for the unimaginable. A menacing and historic storm that grew stronger by the minute and was taking a more direct and worrisome path that only optimized it’s destructive nature and impact. The worst possible scenario was being eclipsed every few minutes by a scarier and more foreboding forecast. A storm that was previously expected to deliver winds of 140 to 150 miles per hour was now forecasting 185 mph sustained winds and guests of over 220 mph. To put that in perspective, an EF-5 Tornado (the highest scale possible) has winds over 200 mph and be known to wipe out towns in a few minutes. Hurricane Irma became a sustained tornado that would last for hours ripping roofs, uprooting trees and turning debris into missiles capable of embedding into concrete. The next few hours were solely focused on immediate survival. The afternoon, as the winds subsided, would be focused on survival for the next few months and the very first steps in rebuilding what was destroyed. Decades of progress became mere memories within a few intolerable hours. In the year since Irma, encouraging green shoots of recovery are appearing as the devastated Caribbean islands are rebounding and welcoming guests. The following is a quick synopsis of each island’s condition and what to expect for the upcoming 2018/2019 winter travel season. The island of St Martin took the hardest hit from Hurricane Irma. The absolute center of the eye passed through Simpson lagoon and Cupecoy. While the culinary town of Grand Case on the northern half of the island never experienced the desired reprieve of the storms eye, but rather being subjected to hours of the continuous and incessant battering of Irma’s the strongest winds in the eye wall. Even though the island handles Category 1 and Category 2 hurricanes with relative ease, this epic storm was supernatural and devastating. Countless lives were changed forever. On the one year anniversary of the storm, St Martin is in the midst of a renaissance. The island is open for business since May of 2018 and welcoming guests. The beaches are beautiful. The turquoise blues of the Caribbean still tantalize and restaurants still mesmerize with their unique French Caribbean flair. St Martin’s full recovery will take a few years but the island is certainly a good destination for 2018/2019 winter travel. The essence of what our guests enjoy, the luxury standard of their own villa, restaurants, beaches and rental cars are returning with many more options relaunching each month. St Martin’s villas are historically quite reasonable when compared to other Caribbean destinations. They have always delivered a superior experience at a fraction of the cost of other islands. This year, the expected promotions will be quite alluring. Guest will be able to enjoy a luxurious vacation at their own private luxury villa that rivals the costs of cruises or 4 star hotels. Please note that villas will not relaunch unless the villa is of equal or superior standard to it’s condition prior to the hurricane. Many new villas are launching and many are returning fully renovated and upgraded. Grocery stores are full. The infrastructure (water and electricity) are reliable and WIFI is returning to the previous standard. Rental cars are available. The island is safe. St Martin is a good choice for winter travel as long as guests understand that the island is still rebounding and that sights of devastation will be readily apparent. But the destination has several key advantages. The island offers direct flights from major eastern US seaboard cities. St Martin is well rounded and not a sleep destination. There is always something to do and nearby islands to visit. The value of a St Martin vacation is uncomparable to other destinations. And lastly, and most importantly, you will be contributing to the renaissance of the island. The island of St Barts had the most remarkable comeback imaginable. Within a month or so, the roads were cleared and the island was in remarkable shape. The beachfront hotels did sustain major damage due to storm surges. They are expected to be back in operation late 2018 with some hotels (ex. hotel Guanahani), scheduled to relaunch in late 2019. Nevertheless, Winter 2018/2019 is shaping up to be a very busy season with many of the restaurants and shops relaunched and villas in fabulous shape. The primary issue affecting the island is the lack of flights into nearby St Martin that we expect to dramatically improve starting in November 2018 with expanded flight schedules by most US airlines. The destination is highly recommended for travelers. The recovery of St Barts is well ahead of expectations and guests should enjoy the relatively same standard of vacation as in previous years with just a few exceptions. The picturesque island was devastated during hurricane Irma however, the villas on the island held up remarkably well. The villas rebounded within a few months and have been welcoming guests. Many of the villas are self-sustained with generators and cisterns so their reliance on the island’s infrastructure is limited. If you want to relax and decompress on some of the most beautiful beaches in the world, then Anguilla is an ideal choice. The villas are in great shape and access to the island is normalizing once flights to St Martin resume their previous timetable. Seabourne airlines offers direct air service from San Juan, Puerto Rico. The interior of the island has not seen much progress over decades so it’s current condition is not of significance to visitors. The rebound of the BVIs has been complicated by the lack of government help and organization. While St Martin and St Barts have been greatly assisted by the French and Dutch governments, the BVIs have not received the same assistance. The re-emergence of the BVIs will take more time than other destinations. We are advising guests to defer vacationing in the BVIs until a stronger recovery takes hold. At this point in time, there is limited information and assurances for guests to properly plan and enjoy a vacation for the winter 2018/2019 season. Set at the far eastern end of the Dominican Republic, Punta Cana has a stunning 35+ kilometers of gorgeous white sand beaches available. In fact, it is noted for offering some of the very best beaches in the entire Caribbean region. Most visitors, when asked about their stay, immediately comment on the beauty of the beaches, their rows of swaying palms, their perfect waters and their many comforts. Of course, like so many tropical destinations, there are some good beaches and then some even better beaches. Though we recommend that all visitors to Punta Cana take a day or two to drive around and see each for themselves – going back to spend days at their favorites – there are some that seem to get universal “thumbs up”. The Playa Bavaro area seems to rank as one of the most popular and is often described as pristine. Though it is the main tourist beach, it is enormous, long and can seem quite uncrowded or empty in many areas. If you want the ultimate, a sunset stroll along its sands is an unforgettable experience. It is close to the Melia Caribe Resort and has a great parking area and easy path that takes you to the sand. In the midst of Bavaro is El Cortecito, which is also considered a downtown area of Punta Cana. This provides you with the ultimate island beach life option. Steps from great restaurants and facilities, but also steps back to the sands…you can easily spend your days here. If your Punta Cana beach life includes kids, then the Arena Gordo is a good one for you. Unusual for its wide stretches of sand that have gentle slopes to the water, the beaches are noted for the shallowness of the water that makes the area great for children. The public access is at Ocean Blue and Sand Service. If you love nature and serenity, the Cabeza de Toro is one of the most natural beaches in Punta Cana and close to the Natura Park Eco Resort. Juanillo also has one of the most secluded beaches but it is also equipped with a restaurant, lounges and cabanas! Ultra luxurious and beautiful, it is possible to find local fish merchants in addition to fun local eateries and taco trucks! As you can see, the beach life in Punta Cana is as diverse as Punta Cana itself. Take time to experience and explore and you will easily find many destinations to love. Isle Blue is offering a free rental car on all new villa reservations for stays of 7 nights or longer. A Hyundai I10 will be included in each new villa reservation until November 28th for any future stays. Gas, insurance and taxes are not included. Upgrades are available for an additional cost. Free delivery to your St Martin villa or vacation rental. 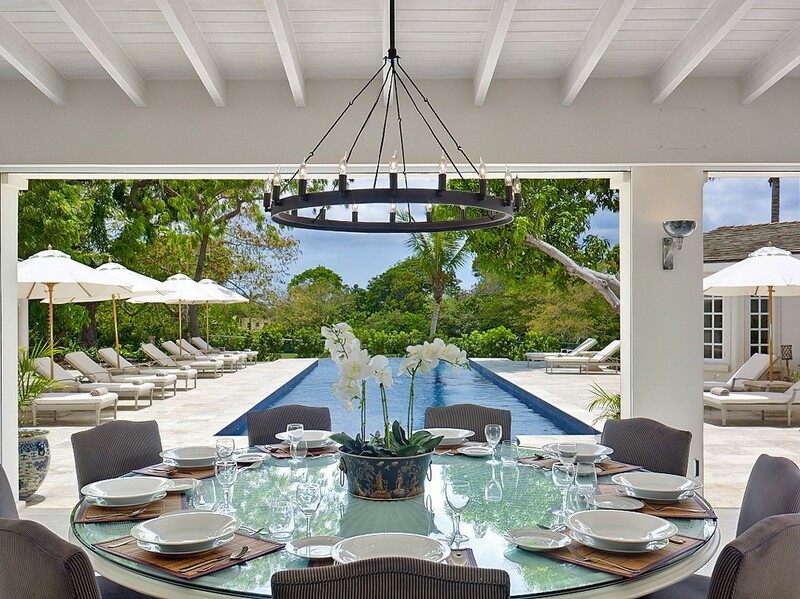 Select St Martin Villas are offering 1 free night per week up to 2 free nights per week. Offer expires on November 28, 2016 at 5PM. For example, the beachfront estate of Les Trois Jours is offering 2 free nights per week on 2017. Subject to black out dates. A free rental car is included on all new 7 night or longer reservations. Expires November 28, 2016. Contact us for further details. Holiday villa sale for St Barts is offering big discounts for Christmas week reservations. For example, villa Sky on St Barts is offering 50% off Christmas week stays until December 26, 2016. When planning your visit to Los Cabos, you’ll probably get a lot of advice from those who have already enjoyed a stay. Most will tell you about the wonderful restaurants that populate every neighbourhood and area, most will also talk about the need to visit both towns – Cabo San Lucas and its quieter and more laid back neighbour, San Jose del Cabo. Many will also talk about the amazing beauty of the beaches and scenery, the world-class golfing, the many spa and wellness options, and so much more. However, if there is one thing that you are sure to hear everyone recommend, it is to go out at least one evening to savor the area’s dazzling nightlife. On most lists of “things to see and do in Cabo“, you are going to see a repeated recommendation, and this to people watch while enjoying the nightlife hotspots. One thing to know right away, though, is that nightlife does not mean one thumping dance club after another. The nightlife of Cabo varies quite widely. There are resort based bars and clubs that offer poolside activities, there are local restaurants offering a happy hour type of nightlife with lots of delicious food and affordable cocktails, and there are the more familiar clubs that have live music, dance floors, dazzling light displays and more. Though Cabo is known as a party destination in many parts of the world, it is distinct from other popular nightlife hotspots. It is a far more laid back and even classier place to go out, enjoy drinks, and get a bit on the wild side, or just sit by the waterfront and enjoy some local music, delicious food and people watching. This is probably one of the most famous night spots with a reputation for being a high end nightclub. One of the best dance floors, it is a distinctly metropolitan place with bottle service and an admission fee, but it is also noted as a place to be seen. This was made famous by Van Halen front man Sammy Hagar who opened it in 1990. A restaurant and nightclub, it has a stage that features many famous bands throughout the year, and it is a popular dance spot. Louder than other nightlife destinations, it is easily one of the more party-friendly options. Trendy and long considered a “must see” for its upper level balcony open to the night sky, it is also a truly fun place to do a bit of people watching, and the food is known to be good too! If you prefer your nightlife on the other side of Los Cabos, this wonderful brewery and restaurant will be sure to please. It has a happy hour every day of the week and live music during weekends. It is in the heart of the art district and features an outdoor beer garden, great food and a classic pub-styled bar inside. This would be an idyllic spot to meet local artisans and fellow foodies and more laidback travelers. Noted as the up and coming “in” spot for nightlife in Cabo, it has a remarkable décor that is equal parts Asian and Las Vegas. It has an open air feel with bottle service, and is noted for its attentive staff. Lastly is this unique spot that offers amazing Land’s End and Sea of Cortez views as well as sitting right along Medano Beach. It is equal parts lounge, restaurant and nightclub with a great and modern atmosphere. There are certainly many other Cabo nightlife hotspots, but if you want to hit some of the biggest and most well-known, this list will give you the best options. William Shakespeare is famous for many sayings and phrases, and one of the most frequently used is this one: “and therein lies the rub”. This is a misquote, actually, and it comes from “Hamlet” who says “there’s the rub”. Whether you say it correctly or incorrectly, it means the same, and is a tidy way of explaining a major hurtle or difficulty. Take the annual Cannes Film Festival…most of us would love to attend, watch all of those award-winning films and do a bit of celebrity spotting. The rub? You have to be a credentialed film industry professional to set foot into any of the events or screenings. What to do? The answer is actually quite simple – opt to stay in your own private villa in the French Riviera – most especially St. Tropez – at the same time as the film festival itself. This puts you in the heart of things, and allows you access to the restaurants, beaches, spas, and upscale boutiques frequented by the biggest and brightest stars. When you book with Isle Blue, you also enjoy the non-stop support of our concierge team who can help you obtain bookings and services that ensure you enjoy your own celebrity-level holiday. Each year, St. Tropez is home to a lot of exciting events, or there are equally major activities just a short drive away, such as Cannes and its film festival. If you head to St. Tropez in May, you can enjoy events such as Les Bravades and Long Night of Museums, and of course, you might just run into some celebrities who are attending Cannes nearby. Naturally, the stars of Cannes are well aware of St. Tropez as a European shopper’s dream, and you will want to make sure you spend time doing some celebrity spotting in addition to picking up some stylish or tasty treats. The ideal time to shop in St. Tropez is Monday through Saturday from nine to noon or from two to seven, and generally expect crowds during the tourism seasons. A little gem nearby is Port-Grimaud, and more and more of the Cannes attendees are heading here too. This, as many say, is a modern and miniature Venice, offering authentic artisan goods and beautifully made French wares. Sip your coffee by the waterfront and don’t be too surprised if the likes of Leonardo DiCaprio or Reese Witherspoon stroll calmly past! Of course, there are far more reasons to head to St. Tropez than the shopping and star spotting. This area is part of the fantastic Cote D’Azur and French Riviera. This means fantastic beaches (though many argue that Cannes has better beaches than St. Tropez), excellent dining, amazing water sports, and scenery that will make you stop in your tracks. As a guest of Isle Blue, you can count on our team to provide suggestions, recommendations and support of all kinds. Whether you wish to hire a car and driver, have a chef prepare your meals, or to make a booking at a museum or show, we are happy to help you feel like a star during or after Cannes has enjoyed its annual celebration.